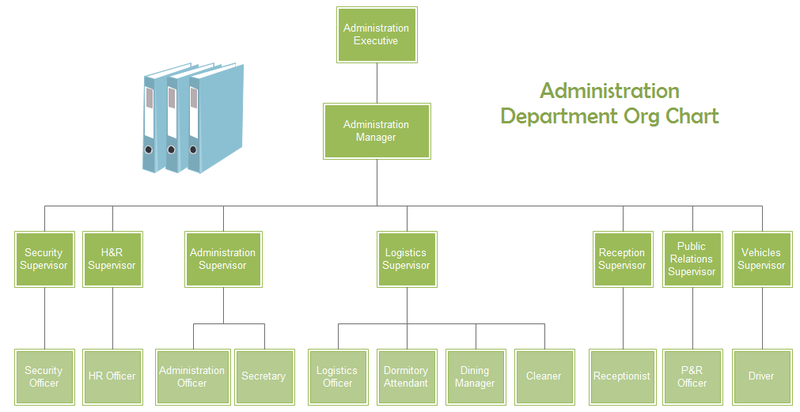 The administration department org chart is a graphical illustration of the roles and structure of this department. Administration department is very crucial in an organization that every department could not live without. It’s responsible for maintaining day to day administrative services in order to help the company run smoothly. Here is a simple administration department org chart template created based on functions. Generally, the administration department provides essential administrative support for the whole company, including keeping and processing files and documents, assisting HR affairs, dealing with meetings, checking attendance, and much more. 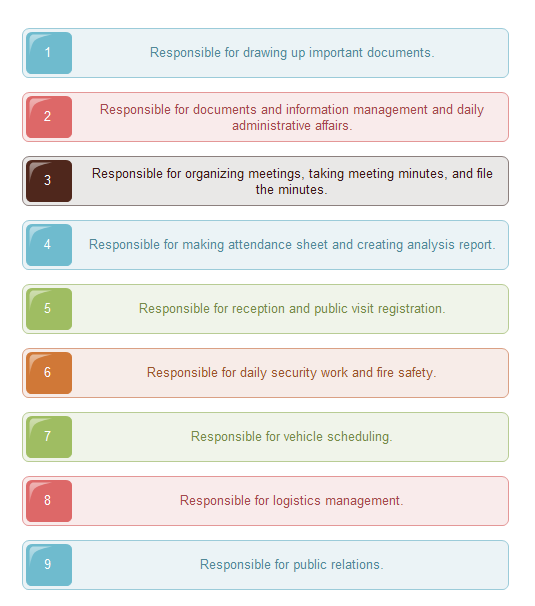 Here lists basic roles and responsibilities of administration department. More Templates Create Your Own Org Charts!